Large amount of devices connected to the Internet necessarily cause heavy traffic. Therefore, dynamic optimizing is important. The main principle of SDN is that a network is no longer mainly hardware: we try to replace as many devices as possible with software. The main advantage is automation. For the customer, and user, this means that should they need to perform a change in the network, they do not need to send an employee to configure a physical device or replace any hardware. This can all be easily done through an application, which will configure all the devices in the network so that they are able to fulfill the new requirements. Currently, the network estimates which activities will the user be performing. Our aim is for the user to be able to tell the network which activities to anticipate, so that the network can adapt to the user s needs. A high-performance IO services framework for dynamic computing environments. In fact consisting of several related projects, FD.io aims at satisfying the growing demands of today’s cloud computing environments. The project utilizes Cisco’s widely spread and highly modular Vector Packet Processing library and implements DPDK capabilities favoring flexibility in packet processing solutions. It achieves acceleration in NFV and SDN through support of various additional projects. While developing high-throughput, low-latency and resource-efficient IO services, FD.io remains hardware, kernel, and deployment (bare metal, VM, container) agnostic. Due to its unique dispositions and high adaptability, its capabilities are expected to extend into additional areas and features including security and cloud solutions. Network Functions Virtualization is one of the tools that the SDN uses in order to achieve its goals. NFV is a structure of networks in which special network hardware parts, as well as active physical network devices, are being replaced by software devices. Thanks to this virtualization, network data can exist on PCs or clouds. Devices virtualized in this way are called VNF – virtualized network functions. VNF is a running software or process which eliminates the need to have a dedicated unit of hardware for every network function. You can thus configure most settings on cloud servers through software, be it a router, firewall, or an internet filter. A virtualized session border controller function can be used to protect the network without the need for installing expensive and complex physical hardware. In this scenario, the software – or process – fulfills exactly the same function as hardware would. We can lower the running costs and complexity of a network, which would allow for a faster launch of new services. We can connect the customer’s global branches and field employees through a virtual network. What makes it great is that a virtual network is fully automatic and therefore you have full control over it remotely, through applications. It takes almost no effort to change the security or prioritization of data. 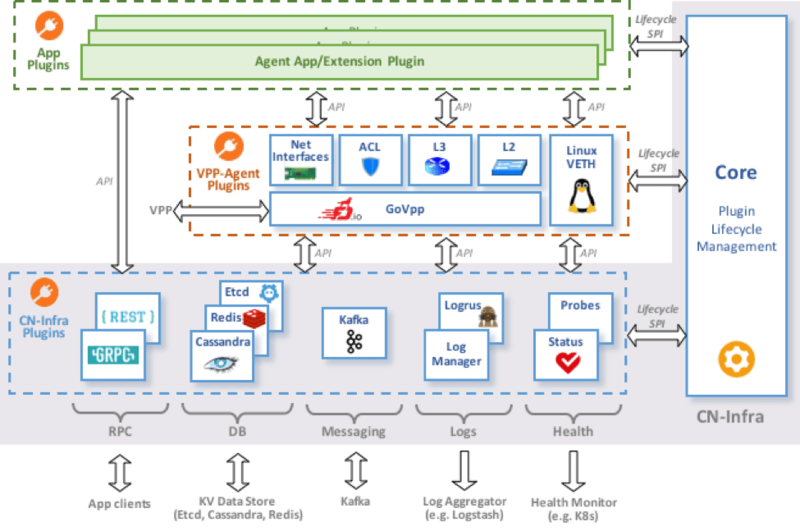 The Open Platform for Network Functions Virtualization is an integrated open source platform designed for products and services which use NFV. The project is a result of a group effort in which we are cooperating with a large number of companies, service providers, and developers on the platform’s development. Our aim is to speed up its adaptation and spread. Since there already are various NFV blocks on the market, the OPNFV project tries to coordinate their development, mutual integration, testing, and, at the same time, develop blocks that are not available yet. PANTHEON.tech’s main activities in the project are integration and testing. 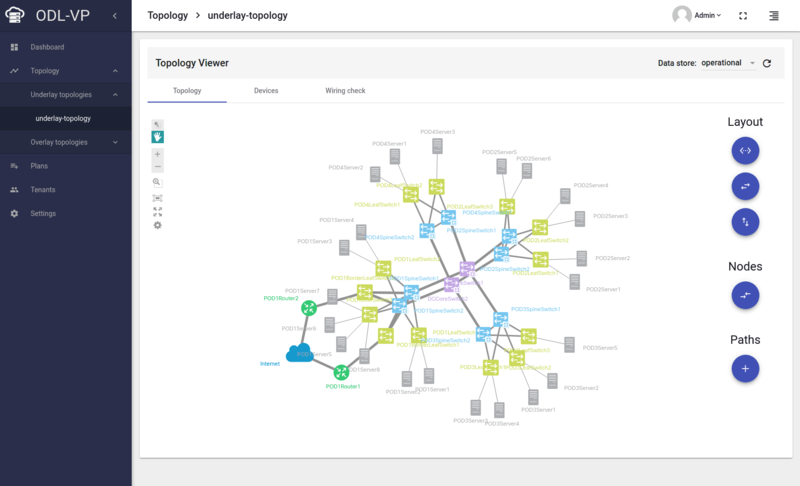 The open source cloud platform for building and wiring VNFs: Ligato provides infrastructure and libraries, code samples and CI/CD process to accelerate & improve the overall developer experience. It thus paves the way towards faster code reuse, reducing costs and increasing application agility & maintainability. Being native to the cloud, Ligato has a minimal footprint, plus can be easily integrated, customized and extended, deployed using Kubernetes. We offer Ligato as a commercial supported distribution, consisting of a pre-packed version, ready for installing on a Linux distro of your choice. Find out more about Ligato on GitHub.